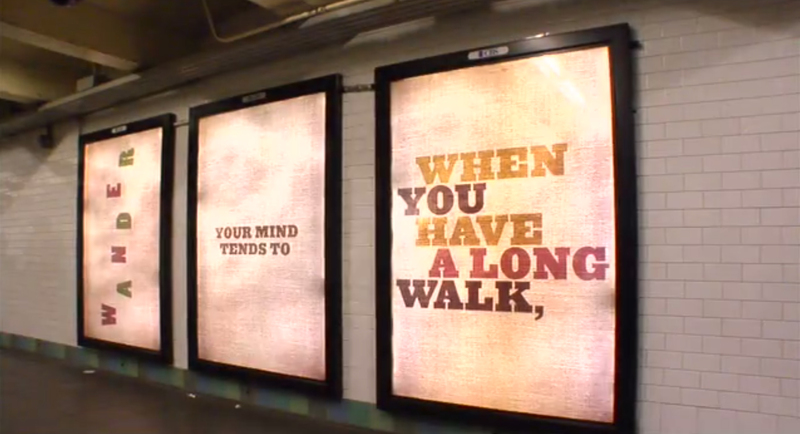 Starbucks used outdoor advertising to create a “stream of consciousness” effect in the Port Authority bus terminal in New York City. Thousands upon thousands of people trudge through the Port Authority hallway every morning, normally a mundane experience. 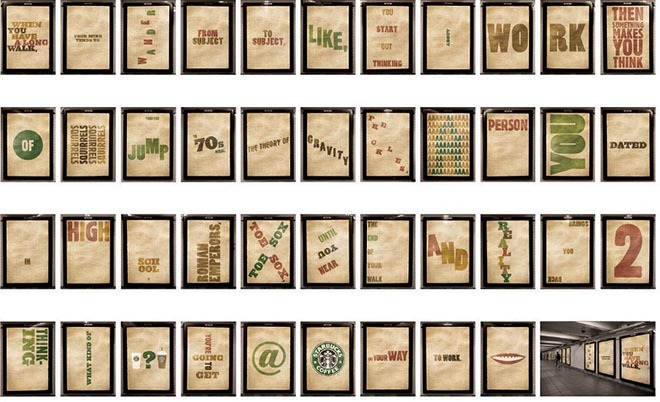 The 2009 installation reinvigorated this morning routine by engaging commuters with a series of posters that humorously pooured out their stream of consciousness as they make the trek. For many, the story ends happily because luckily there is a Starbucks nearby. The Starbucks “Port Authority Stream of Consciousness Installation” was developed at BBDO New York by chief creative officer David Lubars, creative directors Linda Honan and David Carter, copywriter Kara Goodrich, art director/graphic designer Alex Shulhafer, graphic designer Anthony Bartolucci, agency producer Mike Musano, account directors Michael Stefanski, Melissa Barnes, Michael Verga, Michael Avillo with retouching done at Resolution.